‘Days of Our Lives’ spoilers relate that Jordan Ridgeway (Chrishell Hartley) wants to protect Ben Weston (Robert Scott Wilson). It looks like viewers are getting more insight as to why Jordan is back in Salem and what she plans on doing with Ciara Brady (Victoria Konefal), who she is currently holding hostage. As a matter of fact, new Days of Our Lives spoilers tease that Jordan wants her brother back in Bayview. Apparently, she wants to protect him from any harm that he might inflict upon himself, as well onto people. Here’s what you need to know. A lot of Salem residents had assumed that Jordan was living the big city life while trying to pursue the career opportunity that she’s always dreamed of, but that couldn’t be further from the truth. Instead, she’s been secretly living in Bayview as a mental patient. There must be a family gene that makes members go crazy because Jordan has the same issues as Ben. But what makes Jordan different is that she’s aware of her problems and of course, her brother’s issues, too. That’s why she wants to do what’s best for Ben by bringing him back to Bayview with her. With that being said, Jordan’s plans seem just as nuts as everything else that has been going on in Salem. She is setting up a crime in hopes that Ben will take the fall for it. She kidnaps both Ciara and Charlotte and wants to frame her brother for both kidnappings. She thinks that by doing this, Ben will get the help that he needs as she believes that Bayview is the best place for her brother. What Jordan doesn’t know is that this won’t be easy. Ben has been insisting to everyone that he is not the same person he used to be. He truly does care for Ciara and he does not have a reason to kidnap baby Charlotte. As incompetent as the Salem PD seem to be, they will need some proof and, well, just looking at Ben’s past history isn’t going to cut it in this case. With that being said, maybe Jordan does have a point after all in her own twisted logic. It’s obvious that Ben is an outcast and isn’t trusted by many of his fellow Salemites, so is Salem really the best place for him to be right now? His shrink is divulging his personal info to the people that basically want to find guilty at all costs. He has nowhere to turn, no kind of emotional support. Jordan’s methods might be counter-intuitive, to be polite, but maybe Ben does need some time away from Salem at this point in time. He’s close to having a mental breakdown and when you have the serial killing past that Ben has, you really need to have proper inner-defense mechanisms against those thoughts and emotions resurfacing, and taking over. Of course, viewers will have to tune in to find out what happens next! Days of Our Lives airs weekdays on the NBC network. Check your local listings for times. As always, come back to Daily Soap Dish for all the latest news, updates and spoilers on Days of Our Lives and all of your favorite daytime television soaps right here! 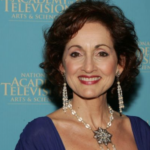 ‘General Hospital’ Spoilers: Ava Gets News That Rocks Her World Upside Down, Finds Out She’s Dancing With the Devil?